Got a question and can't find the answer? Try askUWA. 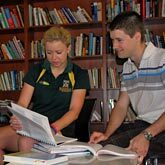 Course advisers provide help and advice with your studies.